Seiko Epson Corporation (TSE: 6724, "Epson") and Epson Singapore Pte. 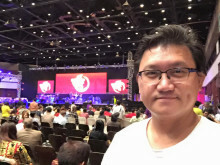 Ltd. have announced the establishment of a new sales subsidiary and office in Vietnam. The new subsidiary, Epson Vietnam Co., Ltd. ("EVNL"), began operations on April 1, 2018. 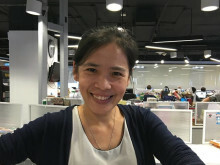 Prior to the launch of Epson Vietnam, Epson had previously sold products in Vietnam through its sales subsidiary in Thailand, and had in 2010 established a Vietnam representative office focused on market research. "The establishment of the office in Vietnam will strengthen Epson's business and brand in the region. There is much potential for growth in the country, with a GDP forecast of 6.3% in 2017. We look forward to rolling out new Epson products in our four key areas of innovation: inkjet, visual communications, wearables and robotics," said Hideto Nakamura, General Director, Epson Vietnam. 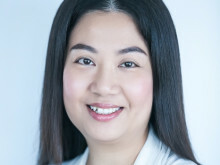 "Vietnam's printer market is currently dominated by laser printers. However, there is extensive scope for growing sales by emphasizing the advantages of our high-capacity ink tank printers. Epson Vietnam will play an important role in developing this promising market," he added. There is strong demand for Epson products in Vietnam. According to the latest IDC Quarterly Hardcopy Peripherals Tracker 2017Q4 release, Epson's market share for high-capacity ink tank printers in Vietnam in 2017 stood at 53%. As a market leader, Epson will continue to offer unique value and solutions to our customers. 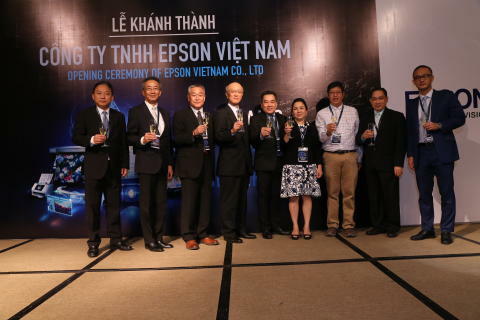 Epson's Vietnam office official opening was held on 4 April 2018 at Hotel Nikko Saigon. Epson is a global technology leader dedicated to connecting people, things and information with its original efficient, compact and precision technologies. 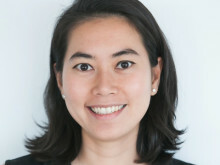 With a lineup that ranges from inkjet printers and digital printing systems to 3LCD projectors, smart glasses, sensing systems and industrial robots, the company is focused on driving innovations and exceeding customer expectations in inkjet, visual communications, wearables and robotics. Led by the Japan-based Seiko Epson Corporation, the Epson Group comprises more than 72,000 employees in 88 companies around the world, and is proud of its contributions to the communities in which it operates and its ongoing efforts to reduce environmental impacts. Since 1982, Epson has developed a strong presence across major markets in Southeast Asia. Led by the regional headquarters, Epson Singapore Pte Ltd., Epson Southeast Asia spans an extensive network of 10 countries, and is responsible for delivering and supporting Epson’s cutting-edge consumer and business digital imaging products to the customers of these markets through its comprehensive infrastructure of over 360 service outlets, 10 Epson solution centres and 8 manufacturing facilities. Epson Thailand was established in Bangkok, Thailand in October 1990 with the objective of promoting the sales and marketing of Epson products in Thailand and the Indochina sub region. Epson Thailand is also the sub-regional centre for Epson's operations in Vietnam, Myanmar, Laos, and Cambodia. Today, Epson Thailand has 123 employees and the extensive network of 166 authorized partners throughout the country. Its products are widely accepted as ‘IT leading products’ with good durability and excellent functions. Epson projector, produced with 3LCD & E-TORL technology, licensed by Epson, has penetrated Thai market and quickly expanded its market share. Also, Epson printers are considered a leading brand in all markets --- professionals, SMEs and general customers. As Epson is maintaining its excellence in products and services, it also works hard to come up with new environmental-friendly innovations.